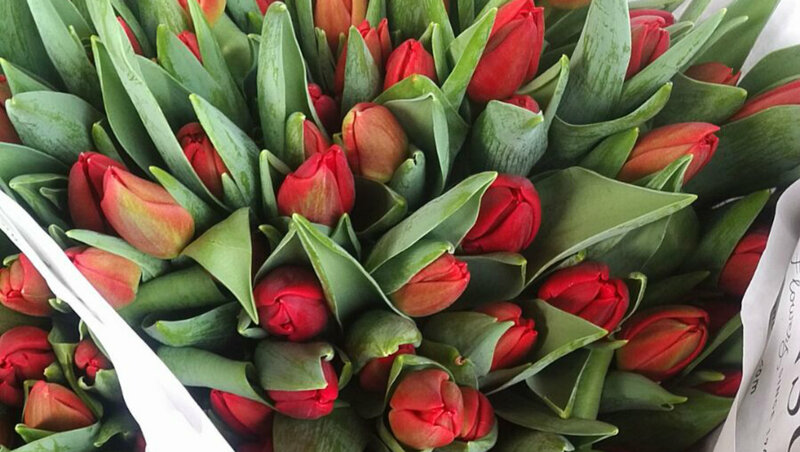 An elegant bunch of red tulips arranged elegantly with lush Italian foliage. This is a wonderful gift for just about any occasion. Graceful tulip blooms will fill up any space with elegance and serenity. I ordered this tulips for someone special, from his impression he really like the flowers, very lovely. And for me the service from Flower Station was really good, very responsive and helpful! Cheers!! I have been asked to review the product.... all i can review is the service The web site and functionality have been excellent, and the Sunday delivery is great. I live in Manchester and the flowers were delivered to London.... - i have 'no idea' what the flowers were like!! All I can do is give an average 3 stars. Also i understand the need for security, but the typing in of the words to stop hacking needs a better system, there are much easier to read versions of this system.. And have you actually tried understanding the Audio description? It's laughable.